Just like people, even healthy pets can have occasional physical, emotional and mental imbalances that, if left untreated, can manifest as illness. Reiki helps balance out emotions such as fear, anxiety, aggression, depression, and other behaviorally based issues. Periodic Reiki treatments can help maintain your pet’s natural state of well-being and balance. People and pets often mirror each other’s physical and emotional states. Animals are natural healers and sometimes take on their person’s problems, often in an attempt to heal them. This happens because of the deep bond shared between a pet and his or her person. Because of the shared energy in such a close relationship, energetic imbalances are shared as well. For optimum healing, joint treatments for people and their pets can often be beneficial. Many behavior issues are caused by stress. Reiki has a calming effect on the pet and may help make the pet more receptive to training and behavior modification. Reiki is extremely beneficial for animals with a history of abuse, especially those in shelter care. The gentle touch and the energy can help restore trust in animals who have learned to associate touch with being hurt. Reiki can also help with transitions such as moving house, introduction to, or loss of, another pet. Reiki helps to heal the spirit, bringing animals back to a state of trust and connection, giving a sense of purpose and building their confidence with other animals and people. Reiki helps balance out emotions such as fear, anxiety, aggression, depression, and other behaviorally based issues. 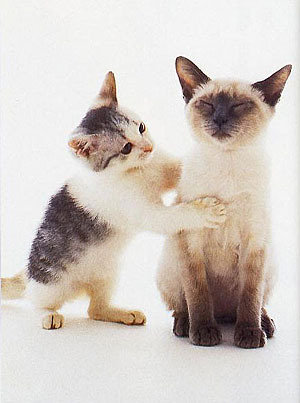 Reiki provides comfort and relieves pain, anxiety and fear for animals in hospice.